This is the official document from the IB [Subject component upload requirements] where you can find the answers to your questions. Confirmed, you do not have to submit any comments for the written assignment. It is externally assessed. This paper should be use as an instrument to know better the target culture and the student's own culture. One of the most important outcomes is to show intercultural understanding. Check out the rubric to familiarize yourself with the requirements. There is no need to fill out the old cover sheet for the written assignment since 2015. It isn't required by the IBO anymore. When the students can/must have to work on their written assignment? 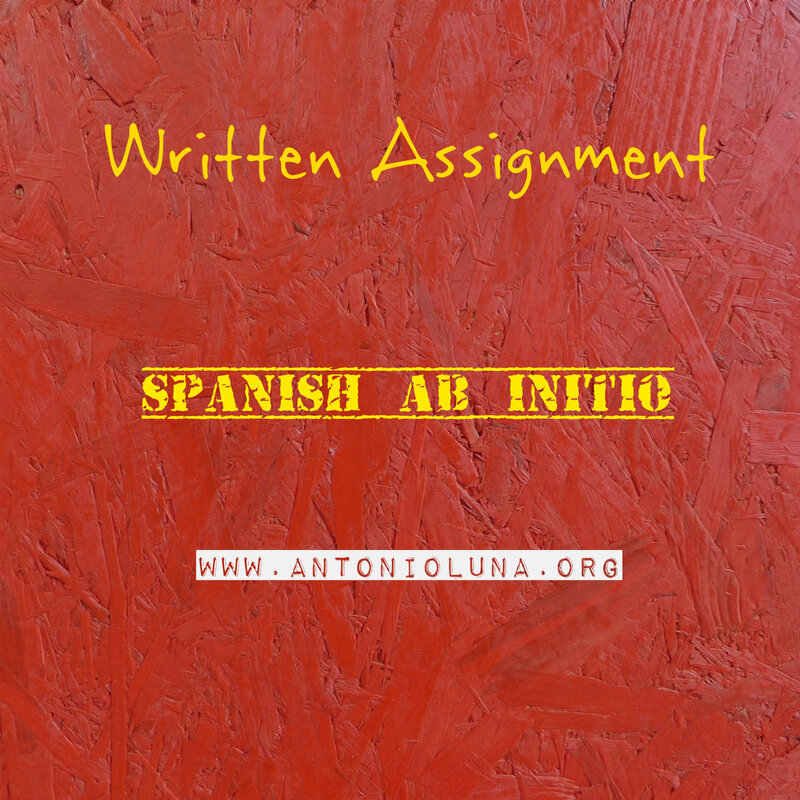 The students are not allowed to work on their written assignment during their first year. This is an assignment to be completed on the second year of the course. This doesn't mean the format, requirements are not to be explained and practice in class during the first year of the course. A - Description: in relation to a Hispanic culture. C - Reflection: respond to three questions. Which aspect of your chosen topic surprised you? Why do you think these cultural similarities/differences exist? What might a person from the target culture(s) find different about your chosen topic in your culture(s)? How many sources must I have? Students have to produce an assignment of 200-350 words. Work which falls significantly beneath this word count is unlikely to meet the requirements of the task and will, very probably, receive low marks. If the word limit is exceeded, the assessment will just be based on the first 350 words. Use of dictionaries and reference material? This is the only assessment that allows students to use dictionaries and reference material. This is very informative, thank you for sharing and creating this. Could you now explain if the written IA needs to be annotated or marked by the teacher please. I thought that the teacher should have no dealings with the work and this would be the independent work of each student. I await your response. Thank you. • a copy of the formal requirements below is provided to the student. I have a question about the topic. Would you consider the use of alternative medicine in a Hispanic country vs USA appropriate for the written assignment? This is my first time working on this assessment. Sorry for the late response, I seem to be busier by the minute. Your topic sounds good to me, make sure there is a description of the idea, comparison between cultures/countries and remember to include the bibliography. 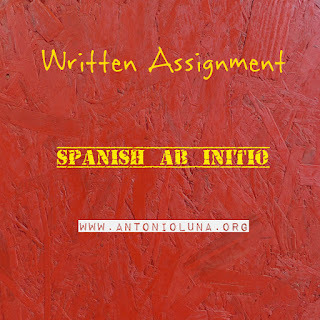 Do you have a sample written assignment that has received a good score? I tried searching the internet but I can't find it.